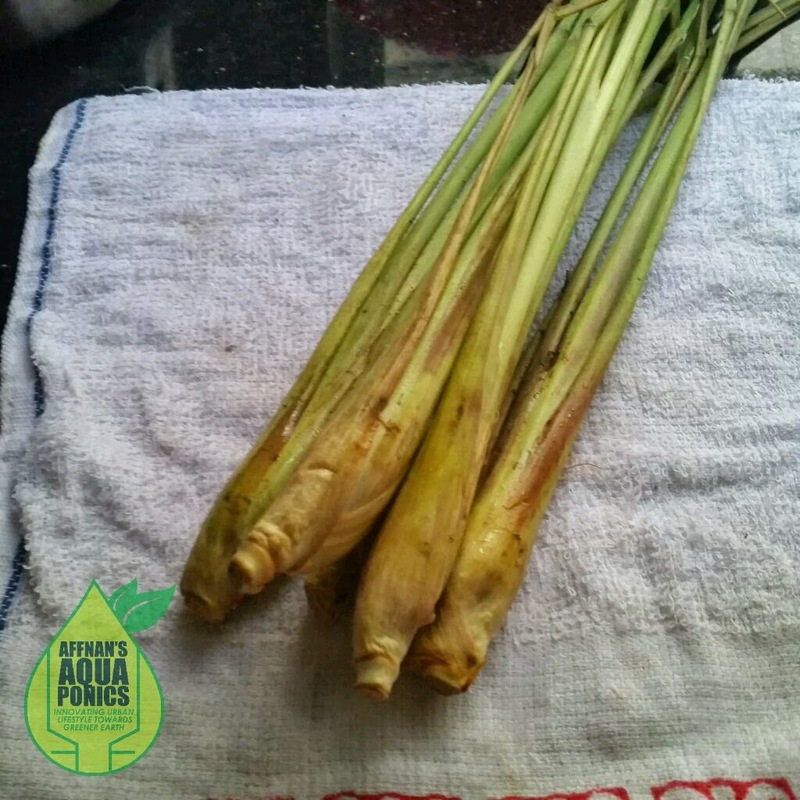 Serai or Lemon Grass is a common herb to most home gardener even in temperate countries where they would grow these indoor during the winter months and take it out in the spring. I did grow these in my growbed before back in 2010 or so but it just got wild and difficult to contain within my growbed. 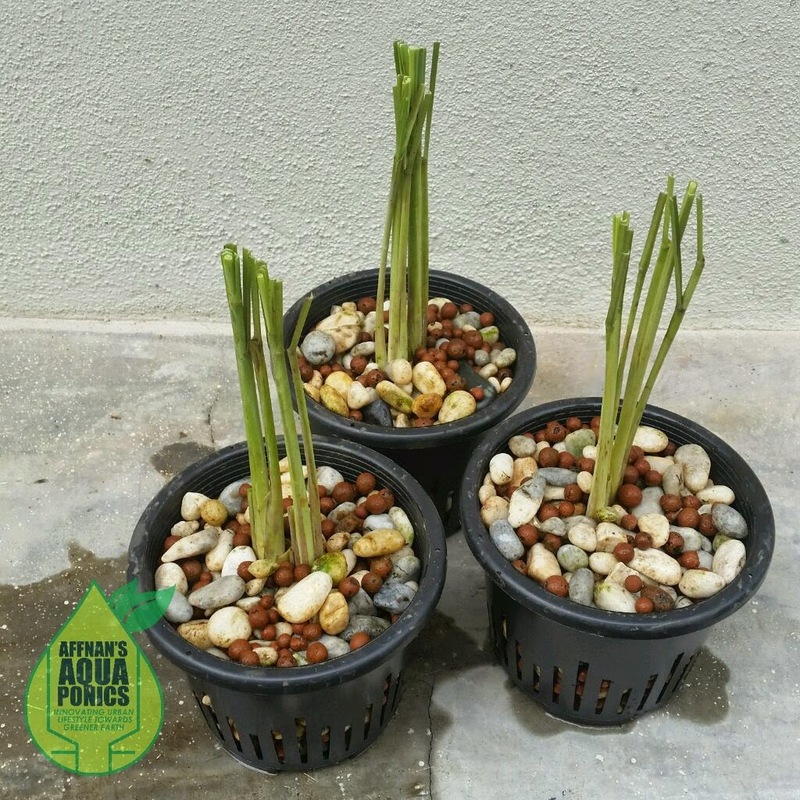 This time I want to do it differently by using the slotted orchid pots, hopefully it can be "tamed" to within the confinement of the pot. 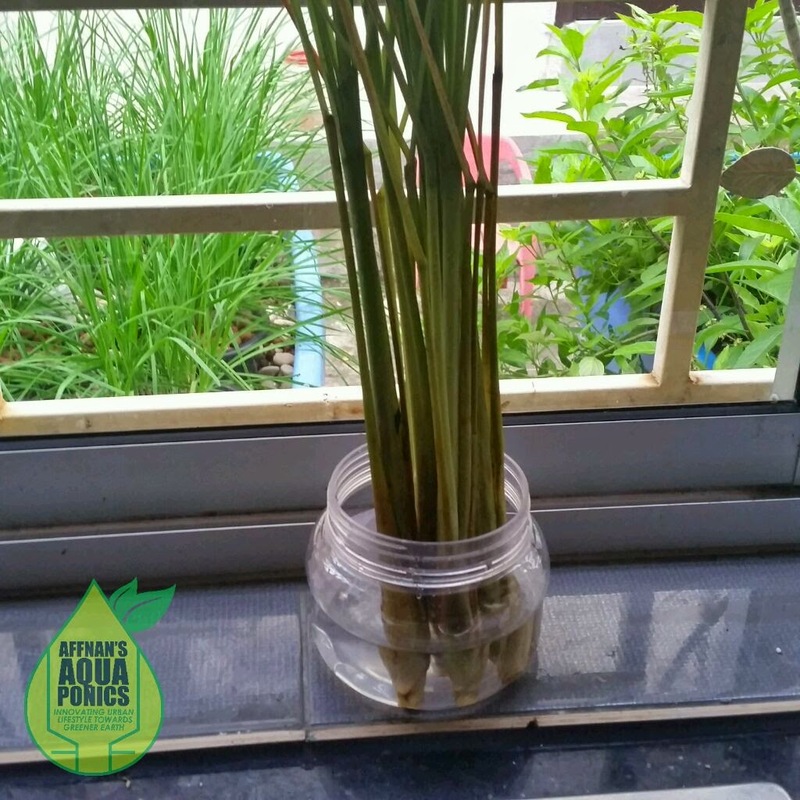 Got myself few stalk of lemon grass which is easy to get and just let it stand in a bowl of water for couple of hour or so. 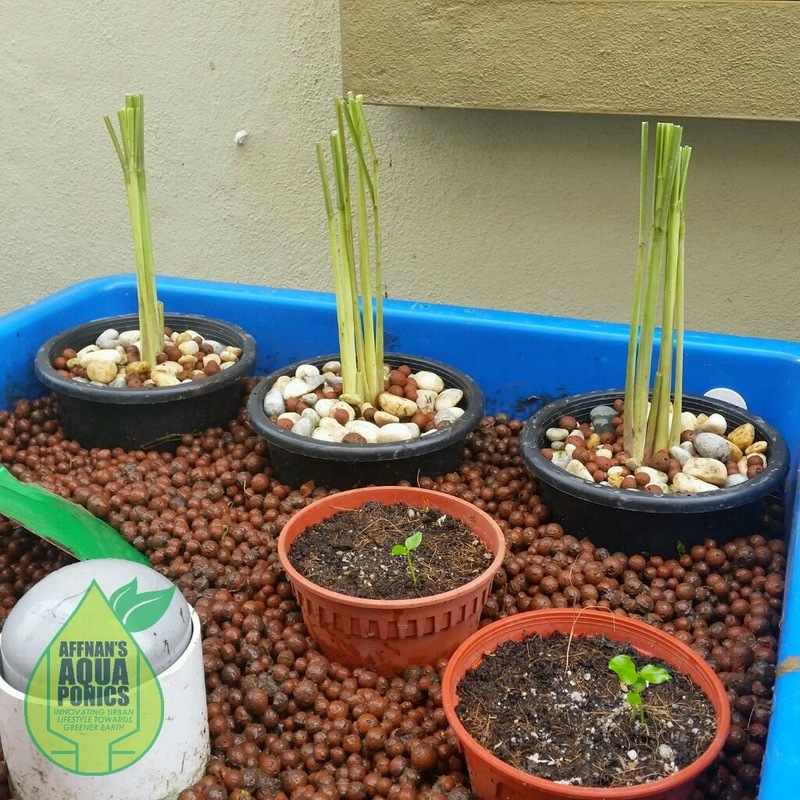 Since I'm doing it Aquaponics, a couple of hours is sufficient and don't need to wait for roots to form like when you are doing it with dirt. 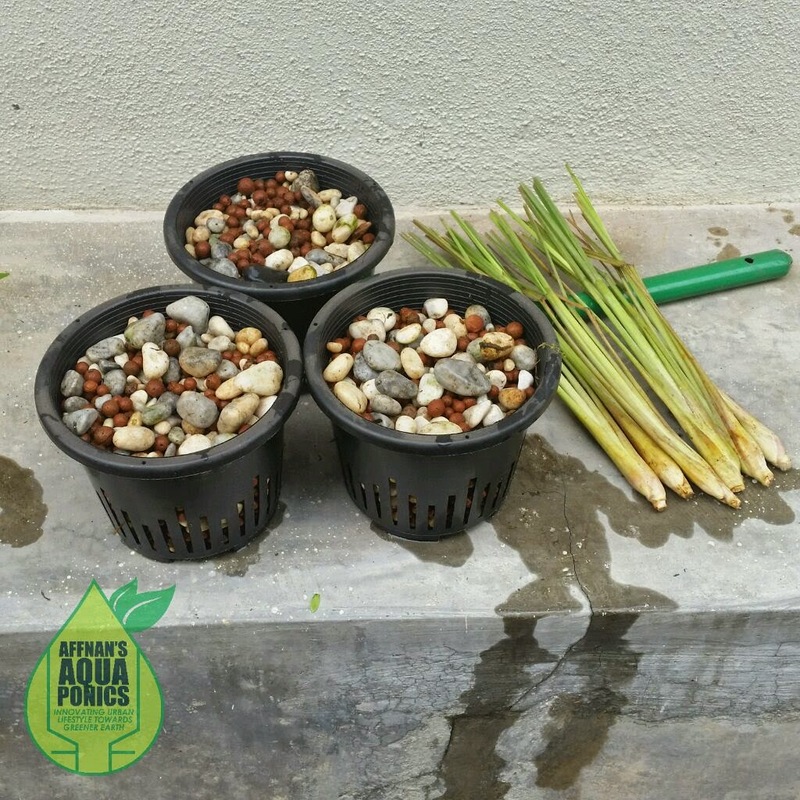 Three pots and using some surplus hydroton and pebbles mixed as grow media I prepared six stalk for planting. Two in each pot, just in case one didn't make it. But it is highly unlikely for this not to grow. Over here this is easily grown anywhere. Placed the pots in the growbed and just wait. Ideally for this plant it is best to get a larger pot like twelve inches across, those pots is only six. I'll get a bigger pots once these shown good progress, on average Asian household we probably can make do with two pots of these for our daily cooking needs.